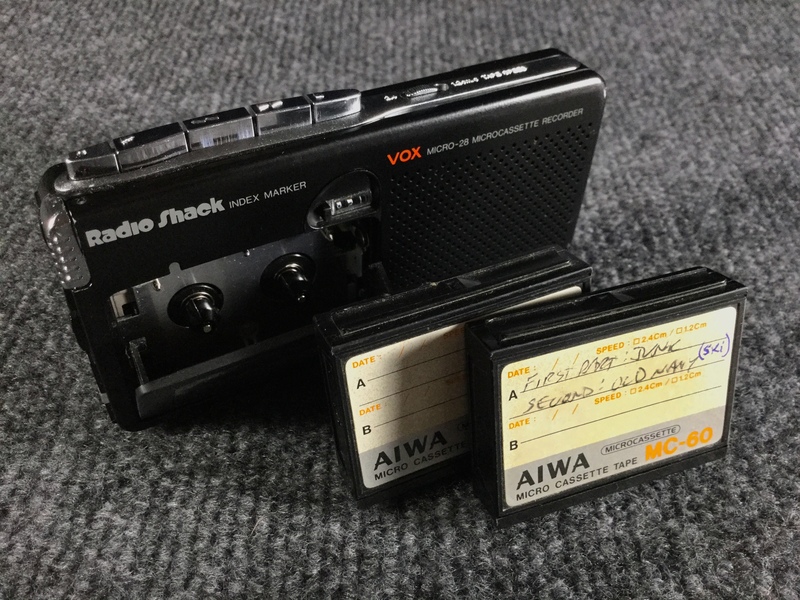 Joe Van Cleave's Blog: It's a Tape Series! You bring back a lot of memories Joe. I still remember my first tiny reel to reel to my big Ampex studio deck to a pocket cassette I still have. Never cared much for the slow speed of a cassette. but no one would carry around a 10.5" or 15" studio reel to reel in their pocket. Yet nothing beat the frequency response and great sound of a tape recorded at 15 i.p.s. on a Crown. For portability though it was hard to beat the Marrantz PMD line of professional cassette decks complete with balanced microphone and line inputs and outputs. 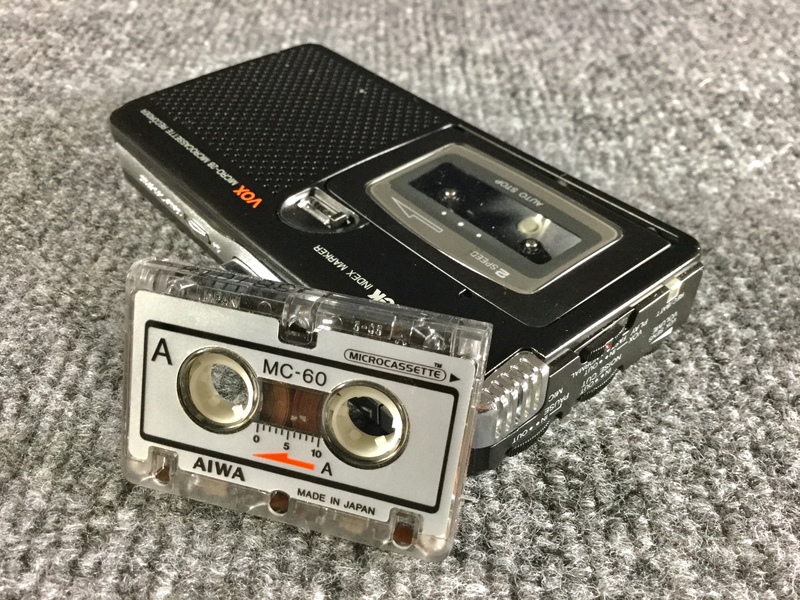 Tascam studio cassette decks were pretty good also although even some of the high end ones were mechanically fragile. 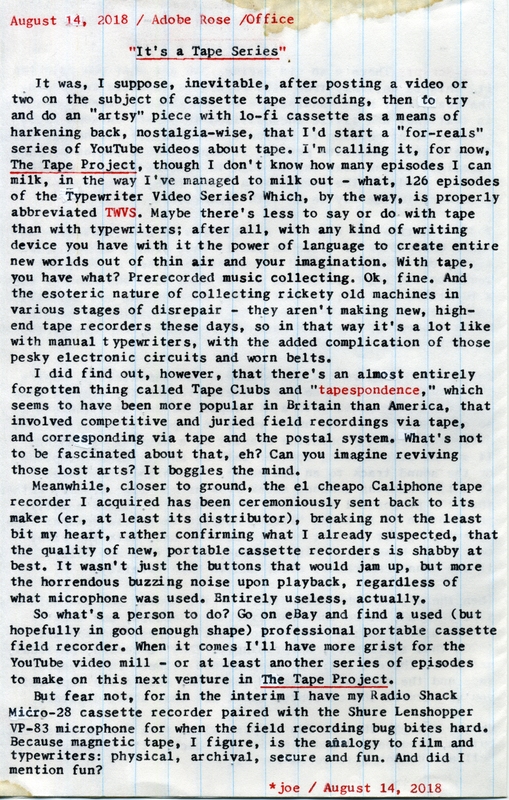 Are you aware of the Smith-Corona phone-looking tape recorder? 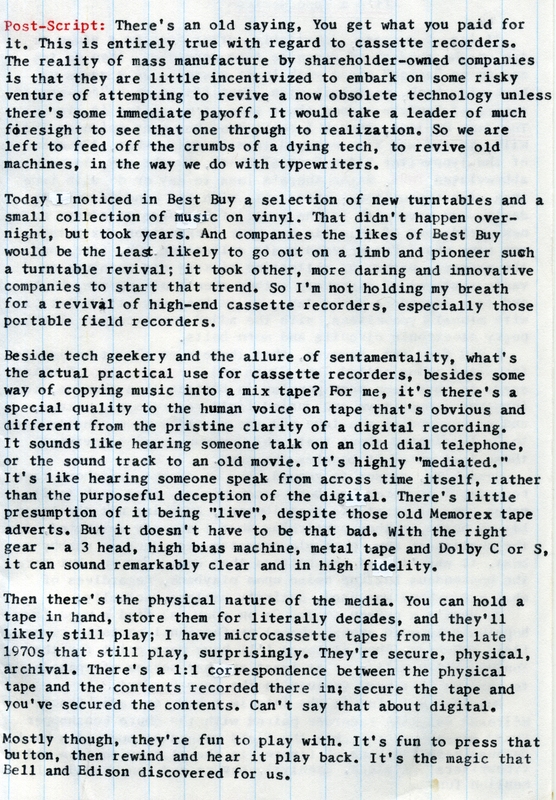 You would record a tape, pop it in the mail, and the recipient would play it on the other end. I can't recall the name of this peculiar device. Now you have me wondering if I recycled my microcassette recorder! I found some tapes for it last night. Haven't found it yet.